We custom fabricate foam inserts and parts for the military, medical, music, electronics and automotive industries to name a few! 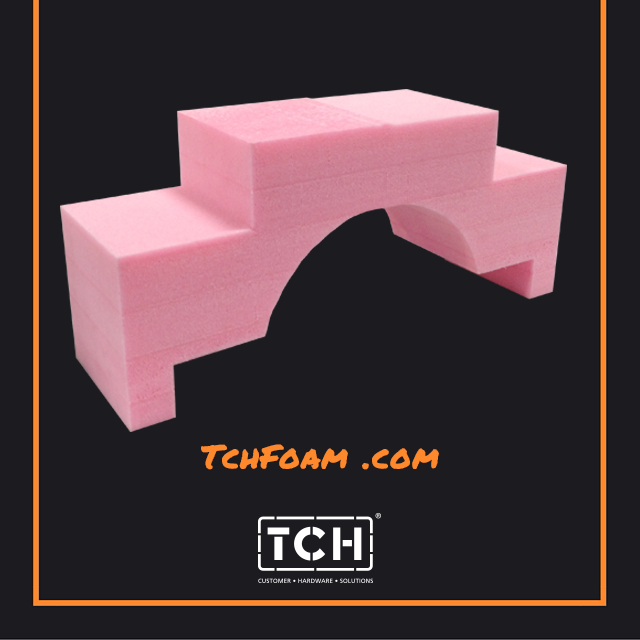 This insert is made from high density Polyethylene Foam that has an anti-static additive in the foam, which gives it a pink color. It is fabricated to size using a profile cutter. We make this for a customer that incorporates it with other foam parts to package missiles for the military. Visit TCHFoam.com for more info.